Strawberries are the first fruit available for the “pick your own” season in New England. Strawberries are not only delicious, but also good for you! They are an excellent source of vitamin C and are very low in saturated fat, cholesterol and sodium. Strawberries are among the top 20 fruits in antioxidant capacity. The traditional New England varieties are known as ‘June Bearers’. The plants are placed in the ground in April, but are not allowed to bear fruit until June of the following year. But they are worth the wait! They are more flavorful and juicier than what is normally available in the grocery store. And the best place to get them is to pick your own at your local farm! Strawberry picking conditions change on a daily basis and the quality of the strawberries is affected by recent weather. A very important tip when planning a visit your local farm is to call ahead to find out what is available on that day. Picking conditions change on a daily basis. On a busy day, the all the ripe strawberries can be picked by late morning. Look for the strawberries that are the brightest red and are also plump and firm. Every red berry is a ripe berry and needs to be handled gently. Strawberries will not continue to ripen once they are picked. Use your index finger and thumb to clip the berry off the stem. Leave the green hull on the berry as it helps keep the juice inside the berry. Protect them from sunlight when in the field and in the car. Once you get the strawberries home, do not rinse or remove the stems until you are ready to use them to keep the juice in the berries. Store them unwashed in the refrigerator in a nonporous, not-to-deep container. They are best used within 2-3 days after picking. Local strawberries are best frozen cut up due to the high level of juice in them. To freeze the strawberries, wash them and drain in a colander. Remove stems and slice (or crush) berries as you stem them. If additional sweetness is desired, add 3/4 cup of sugar to 4 cups of sliced berries. Stir and let stand until the sugar dissolves – should only be a few minutes. Place in freezer containers leaving 1/2 inch head space for expansion and put immediately into freezer. To thaw, just place in the refrigerator overnight. They will be great in smoothies, for topping on ice cream, or for that delicious homemade strawberry shortcake! 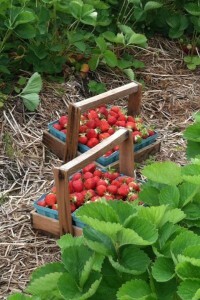 For details on the Parlee Farms strawberry picking season, please check our website https://parleefarms.com. 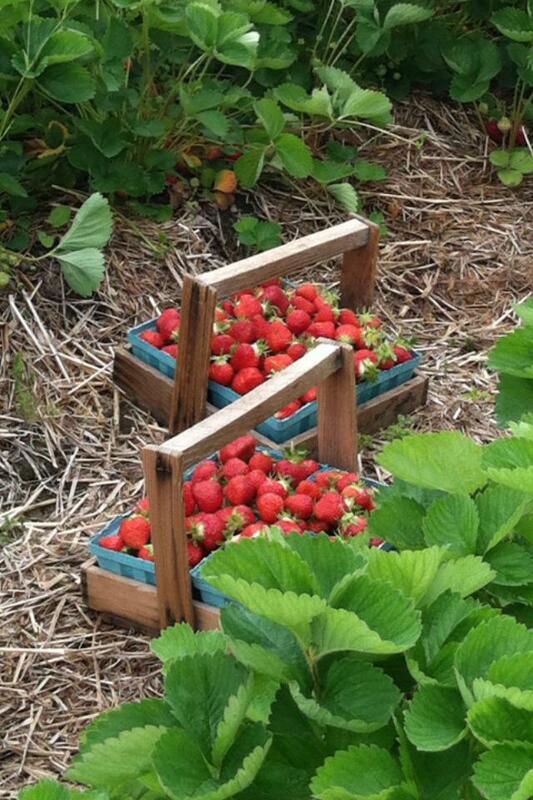 Enjoy New England Strawberry Picking Season!